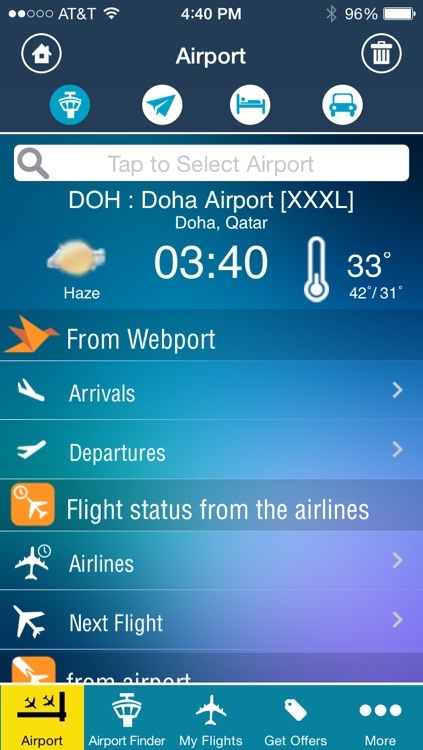 Doha Airport (DOH and Hammad Airport) is the only airport in Qatar. 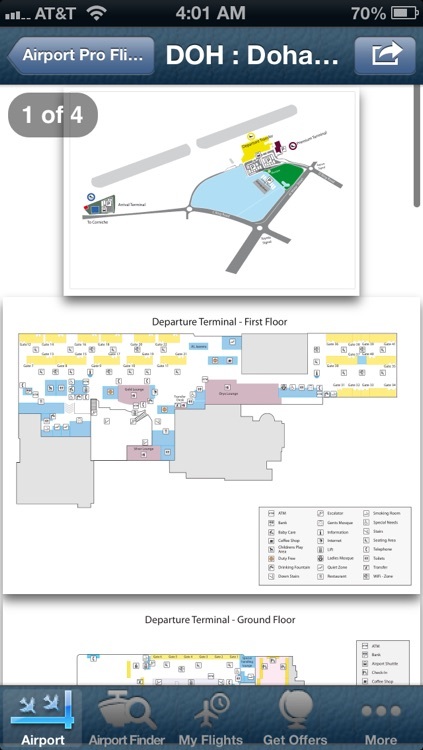 The Airport will be replace beginning in early 2013 when the first phase of the new Hammad International Airport is opened. 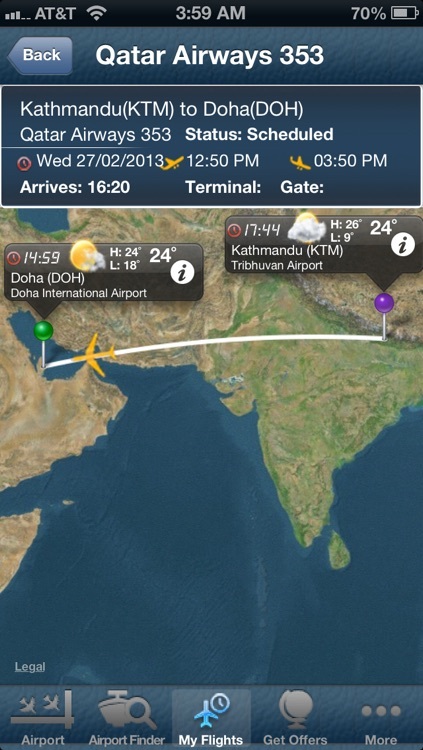 Doha Airport is a hub for Qatar Airways. This app provides complete information for Doha Airport including parking, food and restaurants, terminal maps, directions and more. 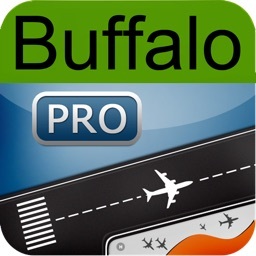 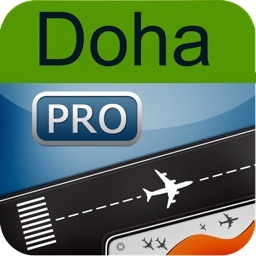 No other app provides as much information on Doha Airport--useful information you need. 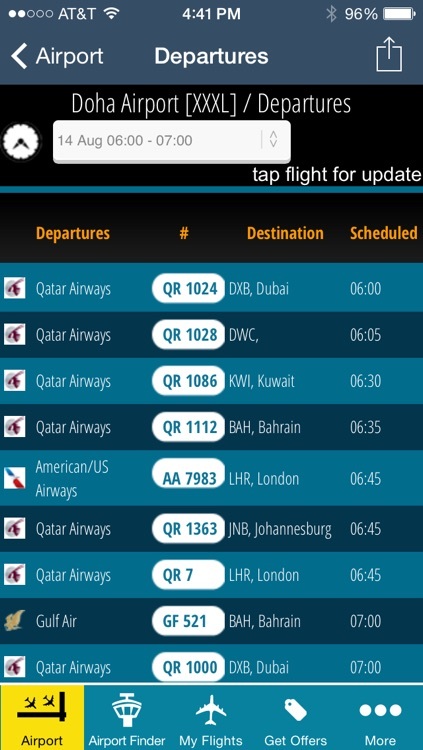 In addition, you can access information on virtually every airport you fly to from Doha. 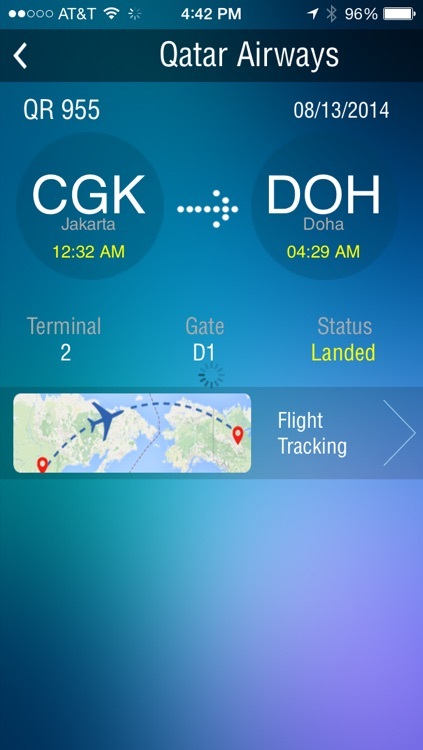 We include Dubai, Muscat, Jeddah, Bahrain, Beirut, Kuwait, Copenhagen, Geneva, Madrid, Rome, Milan, Paris, Frankfurt, Rome, Copenhagen, Singapore, Tokyo, Manila, Jarkarta, Delhi, Bangalore, Hyderabad, Chennai, Beijing, Shanghai, Heathrow, Gatwick, Vancouver, Toronto, Calgary, Melbourne, Brisbane, Auckland, Istanbul, Moscow, Rio, Sao Paulo, Buenos Aires, Santiago, Lima, Beijing, Hong Kong, and all the small and medium airports of the world.